Get a glimpse of how the event went. 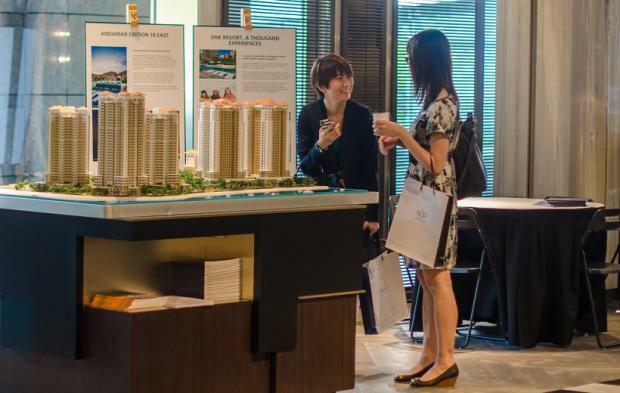 Various industry players attended the 2-hour event to find out more about the property market in Penang. It was held last March 6 at The E&O Gallery. Country Manager Aileen Han and Senior Sales Manager Jeremy Chee introduced E&O, one of Malaysia's luxury property developers and talked about their latest developments and offerings in Penang. Tim Charlton, editor-in-chief of Singapore Business Review also shared his views about the Property Market Outlook for 2014 and how demand for prime property significantly increased due to the recovery in the fortunes of the world’s wealthy since 2009.